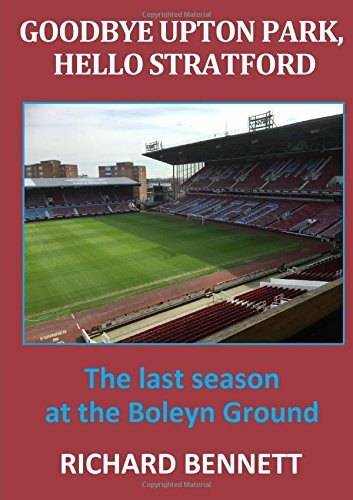 A ramble through the West Ham undergrowth of narrow wins, manager appointments, owners and transfer speculation. Following the win at home to Swansea last weekend there was a clear sense of relief around the club at having stemmed the run of consecutive defeats and opened an eight point gap between ourselves and third bottom, Swansea. There was a spring back in the step, all was well with the world again, super Slav had saved his job and relegation was someone else’s problem. History goes some way to support this theory. Since the Premier League was reduced to a 38 match season only once has a club with 36 points or more after 32 games played gone on to be relegated. This happened in our last relegation season (2010/11) when Birmingham City sat comfortably in 14th place with 38 points at the same stage of the season, but contrived to accumulate only one further point from their remaining six games. So it is a case of beware, relegation could still be the villain you think has been killed in the movie finale but who turns out to be not quite dead yet. The game against Swansea was the Hammers sixth league home win of the season, of which, five have been 1-0 wins. Unlike a number of the earlier wins at least we were the better team on this occasion even if the result owed more to Swansea’s ineffectiveness than to our own excellence. The media reaction to the win with regard to the manager’s position has been two-fold. By and large, the pundits have been coming out to offer their support; smashing bloke, lots of passion, deserves to be given more time/ another transfer window etc, etc. At the same time, however, there has been an ever increasing list of potential replacements banded about; Mancini, Benitez, Hughton, Wagner, Stam, Monk, Carvalhal, Jokanovic and more to come I expect. Players, as they always do, are publicly right behind the manager – right up until they subsequently support the new manager. This one will clearly run and run and I guess only the Board have any real idea of what is likely to happen. Modern football is all about the money. In the money game our closest Premier League peers are Everton and Southampton with Tottenham the target to aim for if there is truly next level to be had out there somewhere. As things stand we are some distance away from each of these teams both on and off the pitch. Along with Newcastle we are quite probably the most accident prone and underachieving teams in English football. Newcastle are proof that a big stadium is not a passport to success. In truth this is not a new problem and amateurish muddling along has been as much part of the West Ham way as flamboyant football. There has been some speculation this week that Messrs Gold and Sullivan might be looking for outside investment by selling part of their stake in the club. I have no idea how much salt we should attribute to these particular stories but if the intention is to seek investment without giving up control then any changes will be marginal. Although, I believe that the current board can ultimately provide at least some greater stability only a Manchester City or Chelsea style sale can bring viable talk of next levels. Despite the season having six weeks to run, transfer speculation is picking up apace. Even though I know that most rumours are there to fill up column inches or to attract click-throughs I can’t help myself getting irritated at the number of old players being linked with a move to West Ham. A team doesn’t build for the future with 30+ year olds even if there is the occasional success story out there. Sure, there are some very good players out there over 30 but it remains an extremely short-sighted strategy. Let it not be true.